Few colleges have a tradition as unique as the one that happens before the start of every Auburn game at Jordan Hare Stadium. Since 1930, the War Eagle performs the War Eagle Flight as it flies over the stadium before each game. Do not be confused though, the of official nickname of Auburn is the Tigers and their mascot is Aubie the Tiger! Jordan Hare Stadium has been the home of the football team for over seven decades. Football at Auburn University dates back to 1892. By the mid 1930s, the university decided to build a new football stadium for its team, the Tigers. A 7,500 seat stadium, originally known as Auburn Stadium, was built in 1939 and opened on November 30, 1939 when the Tigers battled the Florida Gators. A decade later, in 1949, Auburn Stadium was renamed Cliff Hare Stadium in honor of Clifford Leroy Hare, a member of Auburn’s first football team. Additionally 14,000 seats were added on the east side on the stadium, bringing the capacity to 21,500. Over the next four decades, the stadium was expanded five times: 1955, 1960, 1970, 1980 and 1989, bringing the seating capacity to 85,214. During this time, Cliff Hare Stadium was renamed Jordan-Hare Stadium in 1973, after legendary coach Ralph Jordan, the all time winningest coach at Auburn. 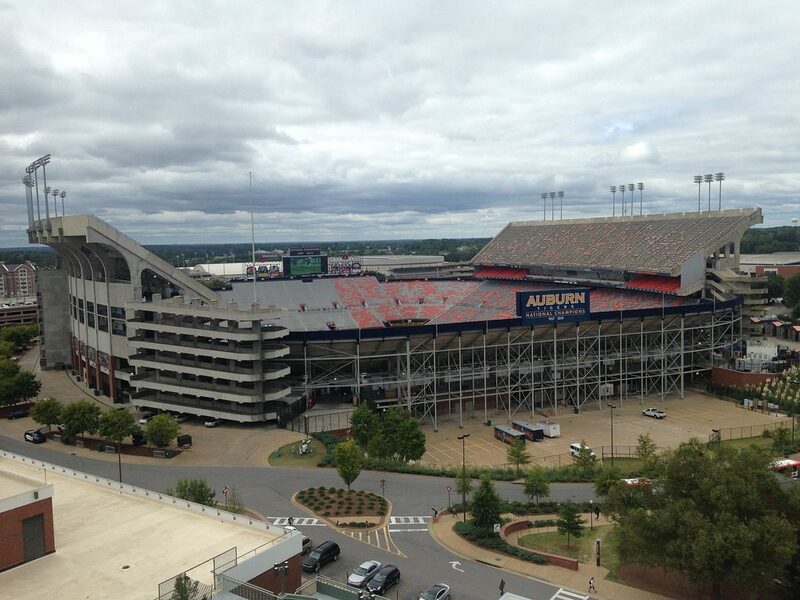 Today, Jordan Hare Stadium seats 87,451 fans. The main lower grandstand surrounds the entire field and upper decks are located on both sides of the field. Luxury suites and the press box are located between the lower and upper decks. Located on the exterior of the east side of the stadium are ten large murals of great plays and players of Auburn football including Bo Jackson. The last addition to the stadium included a new high definition video/scoreboard, installed prior to the 2007 season. 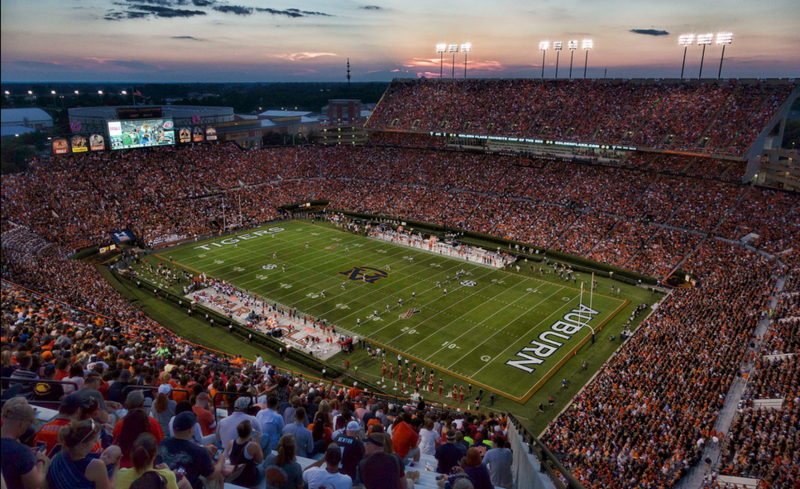 The Tigers have been very successful at Jordan Hare Stadium, as the team has fielded 11 conference titles teams and two teams that have won the National Championship.